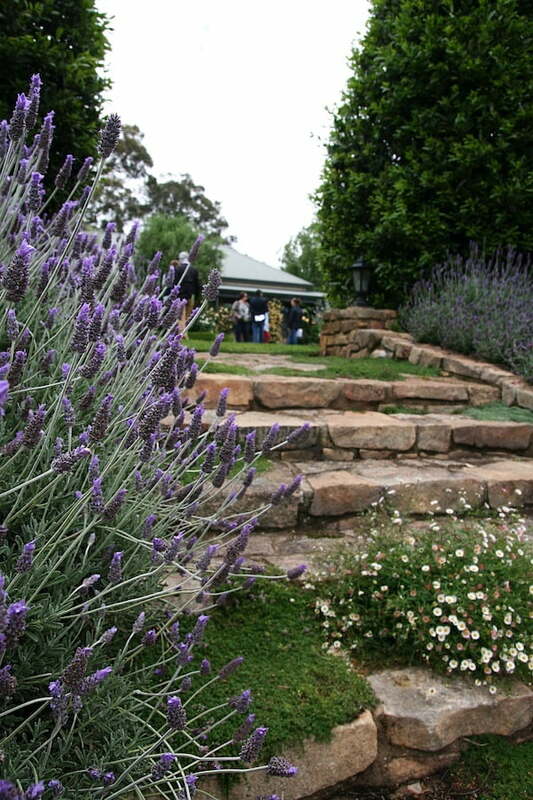 Garden DesignFest has reigned as Australia’s premier open garden style event for a number of years now, since its inception relatively recently in 2004. Biennially and over two days in and around Melbourne, several thousand garden lovers from all around Australia converge to have their garden curiosity taste buds sated as the gates are opened to some of the most creative, elegant, quirky and pampered private gardens that one could ever dream of entering. I first attended the Garden DesignFest bus tour as a horticulture student in 2012, and the combination of design and horticultural mastery displayed was astonishing. There were gardens with distinct character and sense of place, high voltages of creative spark, innovative construction detailing, and a varied and interesting range of plant species and planting composition techniques. Seeing the client demand to live so beautifully and personally with high-end gardens (and often architecture too) was hugely encouraging and aspirational to a young designer like myself. Plus the bus tour was slick and professionally organised, made complete by the addition of renowned designers and plantsmen Stephen Ryan and Michael McCoy as tour leaders. All of that made me positively feverish to return this year. In 2014 I attended a DesignFest that was managed very successfully overall, attracting over 12,000 individual garden visits and raising $100,000 for charity. This is a major achievement in this first year since a recent organisational restructure. 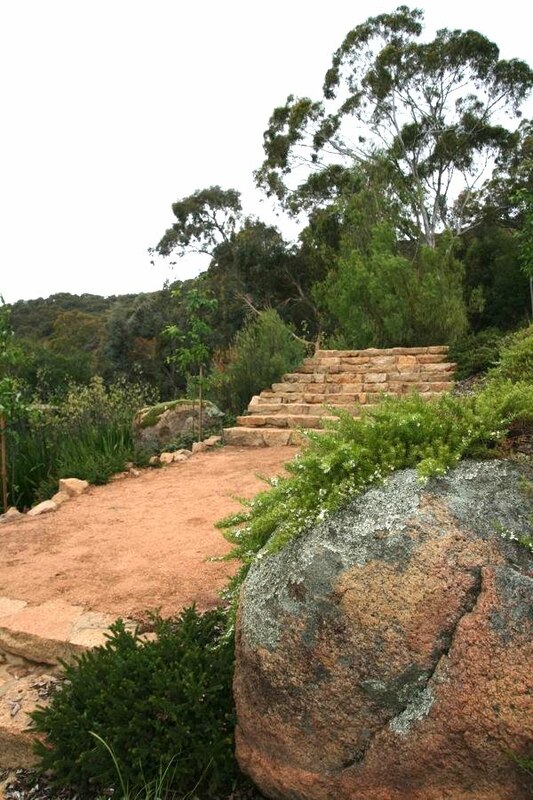 There is also some room for improvement in 2016, but I am glad to see this event that is so significant to Australia’s residential garden design culture is going so strong, particularly in the light of the recent collapse of Open Gardens Australia. 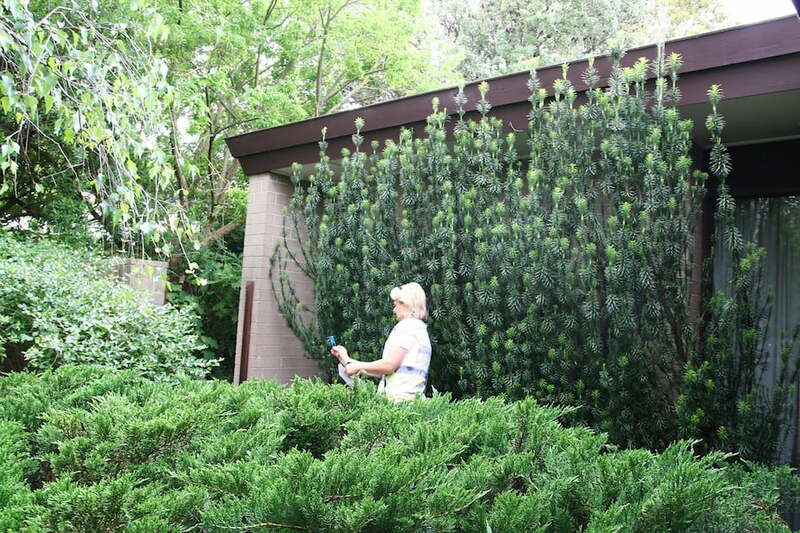 This year twenty-eight private residential gardens were open to the public. As usual, attendees could choose to either drive to individual gardens themselves, or be chauffeured around on one of the several bus tours on offer. I chose the bus, giving me access to thirteen gardens in total. 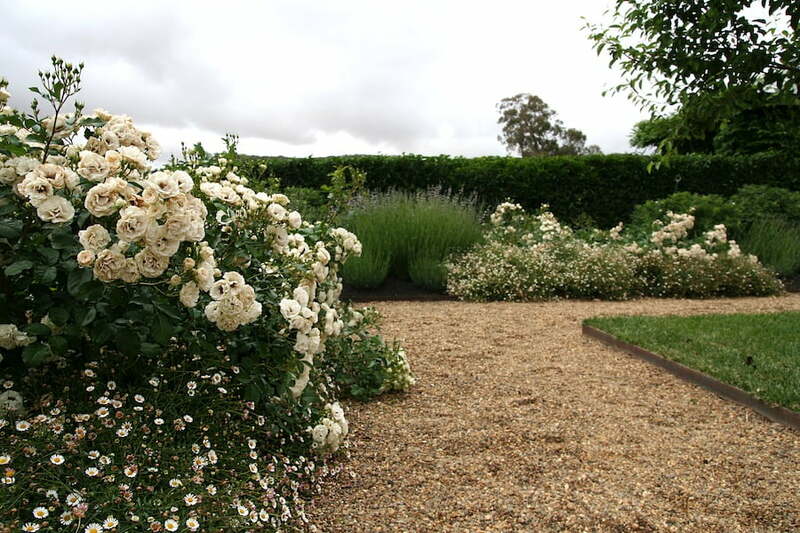 Suburban Melbourne gardens were offered on Saturday, while on Sunday we had to make the painful choice between separate tour buses to either the Mornington Peninsula to the south or Euroa in countryside Victoria north of Melbourne. 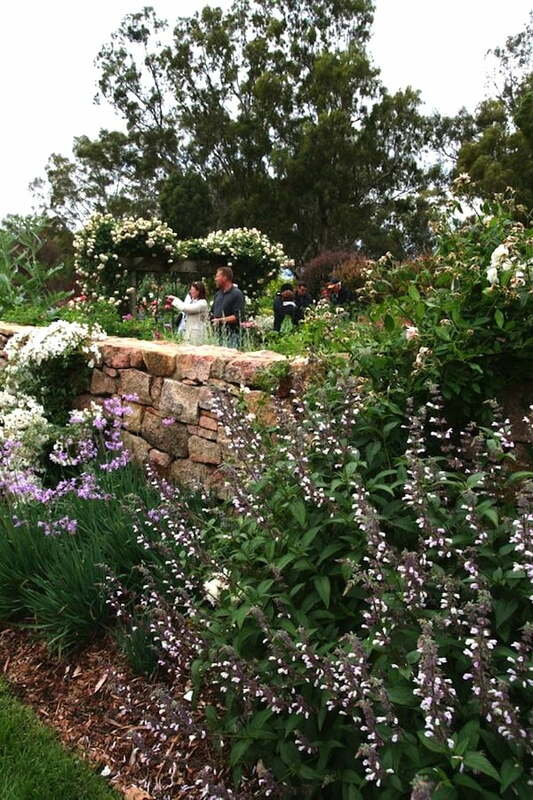 While I knew the Mornington Peninsula gardens would be fabulous, Euroa is not very well known and doesn’t get so much coverage in garden design tours. So that gave it a rather intriguing wildcard element. The people on my tour buses were a spirited bunch of garden enthusiasts, with a minority of garden designers, landscape architects, horticulturists and tertiary educators on board as well. No students on board this year though, which isn’t optimal if we value exposing the next generation of garden designers to the work of leading Australian practitioners. I really hope there were carloads of local and interstate students driving around and attending the gardens independently to compensate. Garden DesignFest doesn’t currently keep tabs on visitor background, but if they did, this could be one of the performance indicators for marketing the event in future years. So how did my wildcard turn out? Sunday at Euroa was certainly a highlight. Paul Bangay’s planting design collaboration with owner Paula Gurry produced some handsomely proportioned and commandingly feminine terrace gardens in white, silver and purple tones around the hilltop home. 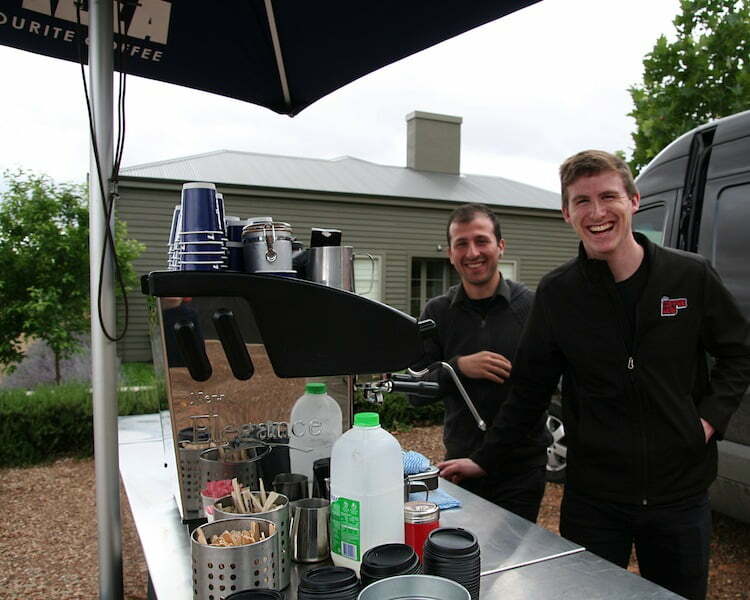 The Gurry’s generous provision of a coffee truck at the entrance to their property also made for a sociable start first thing on a brisk morning after driving 2 hours from the Melbourne CBD. 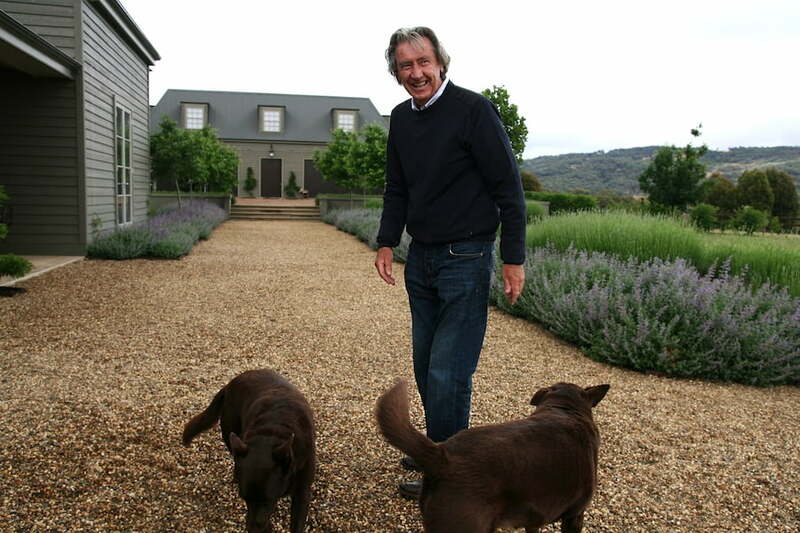 The relatively more informal spatial arrangement and minimalist species selection at Rick Eckersley’s Killeen Homestead suited the context of that site which sat amongst rather than atop the Victorian countryside. A delicious grilled lunch with wine from Fowles Winery (run by the owners of Killeen) was enjoyed together in the shade of a magnificent old Oak tree. Both Eckersley and Robert Boyle demonstrated a real feeling for transitioning their gardens into the surrounding countryside, Boyle also incorporating large existing waterfalls and the movement of water through the garden to great effect. Gail Van Rooyen’s Lathiki did rather steal the show though in terms of volume of flower display; perfectly timed in the season to be dripping with spring blossom for our visit. The way the house was sited also had a particularly pleasant feeling to it; positioned asymmetrically to one side of the large sweeping garden terrace, and nestled (slightly cut) into the side of a hill just metres below the peak. This resulted in some interesting variations in landform and comforting simultaneous senses of both prospect and refuge. Saturday had its highlights too. As an interesting point of difference to all the lushness over the weekend, John Patrick’s Surrey Hills garden demonstrated the use of hardy species such as plum yew, birch and prostrate juniper to create a beautifully textural, but also very drought tolerant and low maintenance suburban garden. 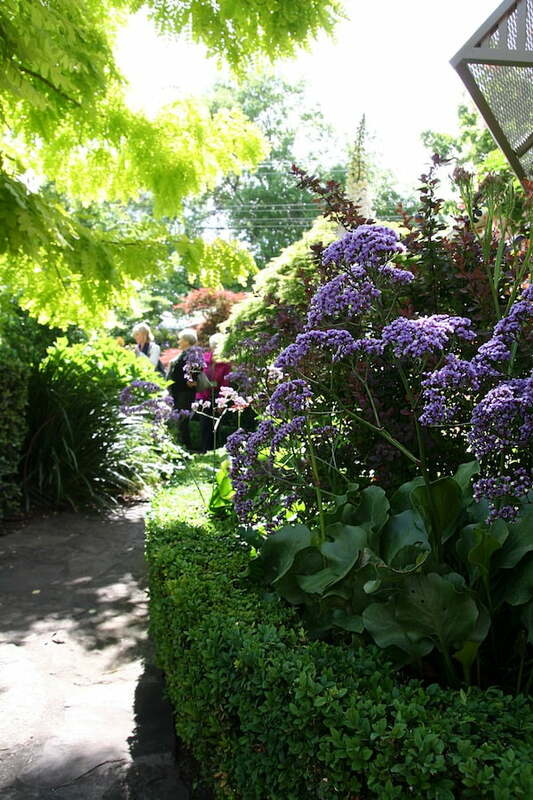 There were also some particularly good examples of planting composition at gardens by Eugene Gilligan, Cameron Paterson and Ros McCully, as well as a tour through John Varigos’ public orchid conservatory in Central Park, Malvern East. I did think it a rather shame though to miss out on seeing some of the possibly more idiosyncratic gardens by Andrew Plymin, Sandra McMahon, Stephen Read, Karen Sutherland and Steve Taylor, which were not included on Saturday’s itinerary. These gardens could have added breadth beyond the consistently quite classically styled gardens that we saw over the weekend. 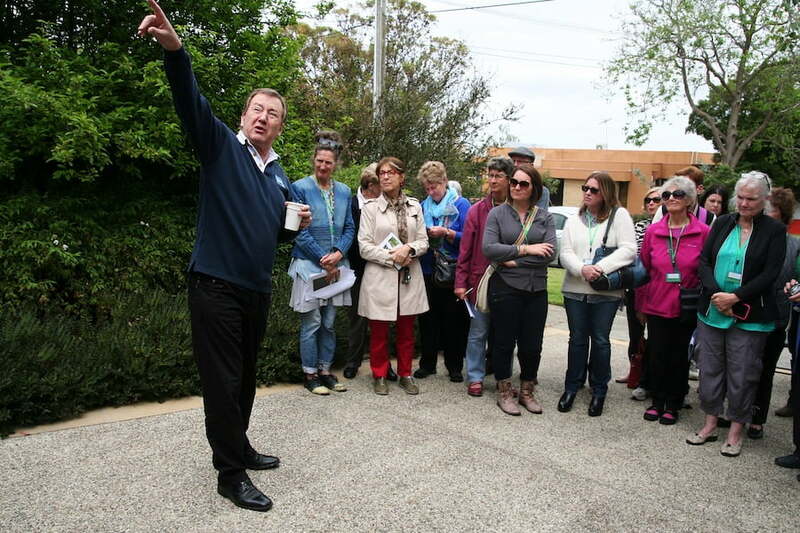 Of course, a one day bus tour could not possibly cover all eighteen suburban Melbourne gardens that were offered, so it’s always a necessity for organisers to try to select gardens that are close together. I did also hear that the tour bus selection process was hampered somewhat by some of the owners not feeling so open to a busload of people barreling through their garden all at once. So there were certainly several factors impacting on the garden selection for the bus tour. Even so, I would be interested to know who at Rotary had the ultimate say in the final garden selection process this year; were independent garden designers, landscape architects, and horticulturists involved? I also wonder if someone who has attended previous bus tours was consulted regarding this year’s bus. I say this because unfortunately from the comments I heard from several regular attendees, the Garden DesignFest bus and didn’t quite hit the mark this year, and there was even talk of organising an independent bus for 2016. The people I heard making those plans for an independent bus were mainly industry professionals and others who regularly get out to a lot of other open garden events every year. These may be a relatively small minority, but their presence at Garden DesignFest and on the bus tour is significant as it sets the garden design bar high and energises the event by providing a unique forum for designers and the public to experience and discuss garden design together. 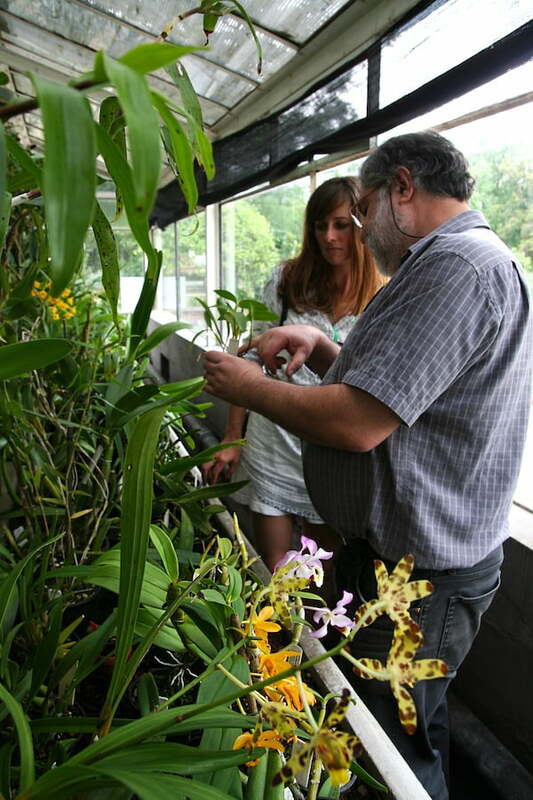 Keeping those people interested in the bus tour in 2016 will depend on more than just a wider range of gardens though. That minority are also keen to have a well known designer or garden critic present on both days. This year garden writer Megan Backhouse, Garden editor of the Melbourne Age gave some great commentary on Saturday but then we had no official guide on Sunday. 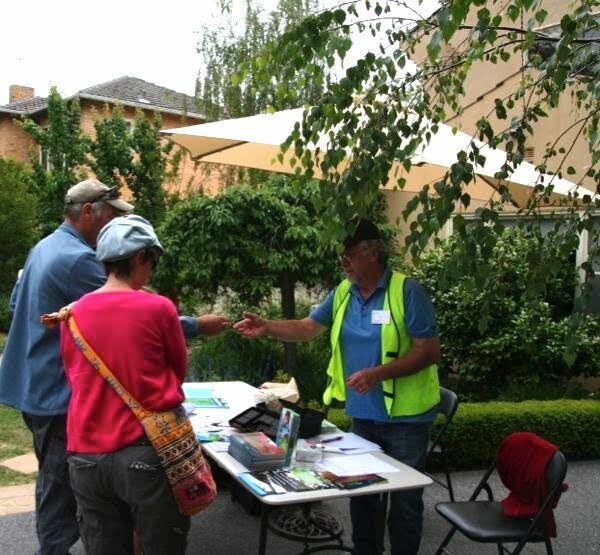 Organisers must recognise that a real selling point in joining the bus tour is that ability to reflect on the gardens together with an experienced industry professional. 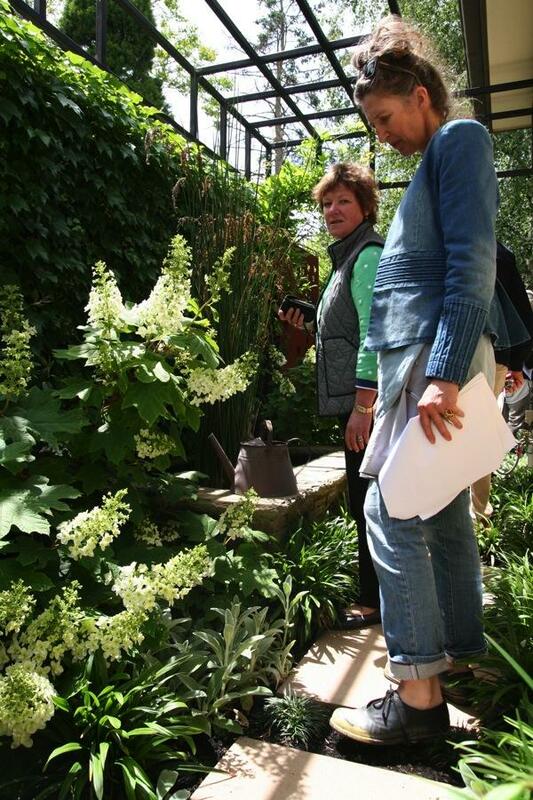 Onsite at a Ros McCully garden with tour guide Megan Backhouse, Gardening Editor of the Melbourne Age. 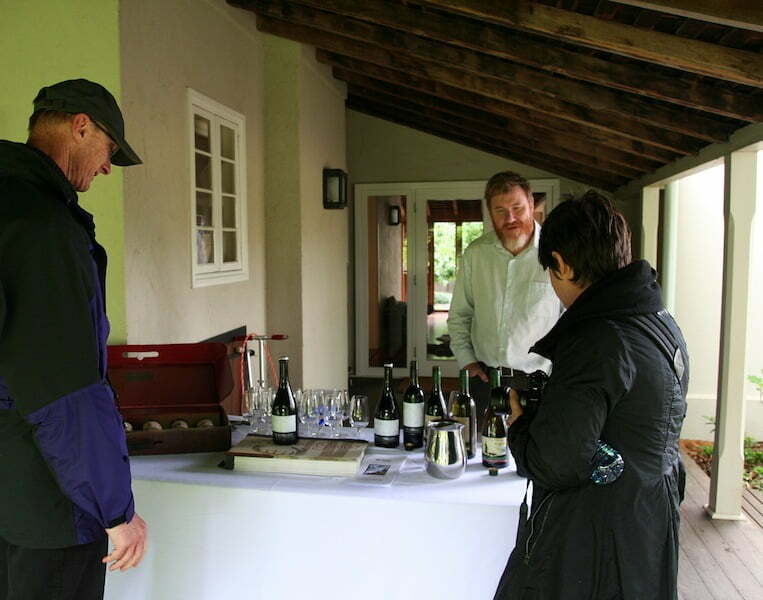 It would also be important for next time to organise onsite talks with the designers over both days, not just Saturday (and the relevant owners, horticulturists and gardeners too if possible and where available and willing as in previous years). Also, we may be there primarily for the gardens, but bus tour attendees are used to a fairly gourmet standard of lunch and snacks, so taking care to provide that over both days adds points to the delight-o-metre, and we’re paying $320 per head for the weekend after all. Those from interstate are actually spending more like $1,000 to attend, all costs considered. In addition to these suggestions, if two fabulous areas outside Melbourne are to be offered again, I do hope these will be opened on separate days so attendees can select to visit both! Garden DesignFest regulars always love to see suburban Melbourne gardens, but we’re also hungry for variety, and the opportunity to get to interesting enclaves outside of Melbourne is pretty mouth watering to our kind. We don’t even blink at the thought of 4 hours driving to get there and back! In order to get this feedback from the punters themselves, feedback forms would also be a useful addition benefitting not only next year’s organisers, but also possibly convincing any dissatisfied customers to give the event another go the following year as their previous concerns may have been addressed. On a personal level, this would take some of the pressure off me as a recent horticulture graduate writing for Garden Drum for the first time. I feel caught between a sense of responsibility to support this favourite event of mine to keep going from strength to strength by providing useful constructive feedback and inviting open discussion. Yet I am also rather tentative about writing anything that may be perceived as negative in the context of the Australian garden writing scene, a sphere that generally avoids being openly critical, relative to garden writing scenes elsewhere in the world. A number of people on the tour also judged some of the gardens we saw over the weekend to be a little on the young side; not fully displaying the designer’s vision as yet. I do certainly prefer to see mature gardens too, but I have to remind myself to spare a thought for the designers. 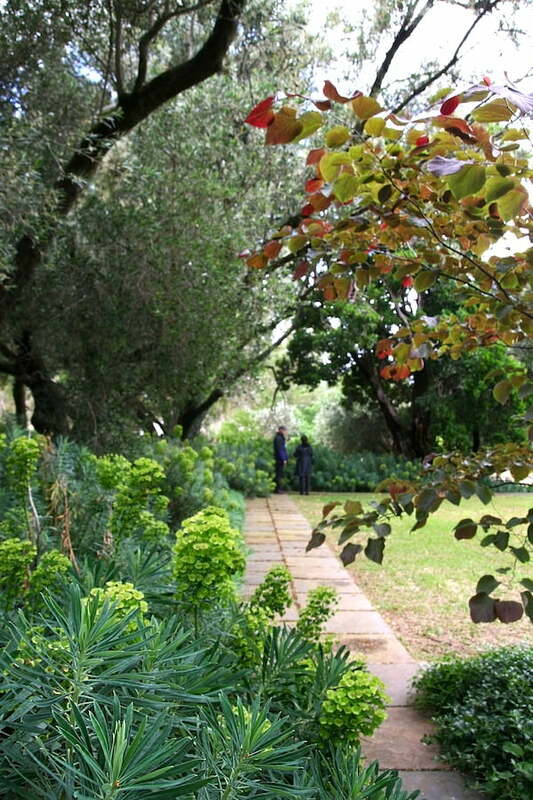 Not all are so fortunate as to be able to work with clients who are willing to invest the kinds of funds necessary to make mature gardens truly great. This lack of commitment to long term maintenance from some owners is also understandable when popular garden media sometimes fails to educate the public about the levels of maintenance that a garden needs. Of course, this is because much horticultural media aims to motivate people to get involved in gardening by making it seem relatively easy. A strategy that makes sense toward an aim that we would all support. In these circumstances, savvy, less established designers, who can foresee that their clients aren’t going to give their gardens the care they need to thrive, may be tempted to show off their latest designs quickly before the whole thing goes to poo, so to speak. Attracting much needed new clientele and keeping business flowing in a relatively unstable economy and construction industry is important the survival of their businesses. On another note, time management is also important on the bus tours. 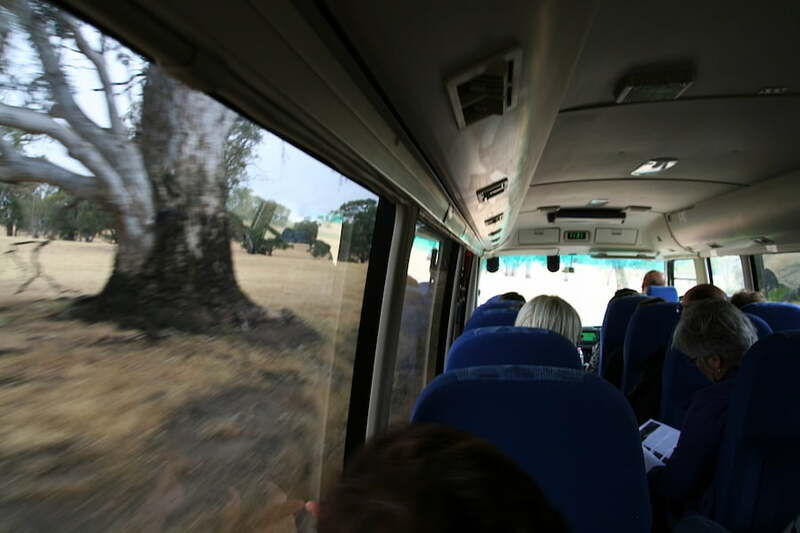 This was done very well on both my tours, however I did hear that things were a little different on the Mornington Peninsula bus tour, with some gardens receiving only a little time and others having to be skipped entirely. I can’t feel too sorry for that group though, as they were given access to the Robert Boyle garden that featured in Monty Don’s acclaimed TV series Around the World in Eighty Gardens. Especially after a friend mentioned that seeing that garden alone made her trip to Melbourne worth it this year! I love but hate hearing that kind of thing. That garden is a particularly stellar example of a close collaboration between designer and client and the owner’s commitment to long-term maintenance needed to create great gardens. So there were definitely some outstanding moments at Garden DesignFest this year, but why were things a little different? Well, Kew Rotary has previously been primary organiser of this event, but that changed this year. Owing to the enormous amount of logistics that it takes to put this kind of event together, a decision was made to spread the load amongst several different Rotary organisations. Understandable. Just imagining organizing over 400 volunteer gate people, security staff, parking guides and other people doing 3-8 hour shifts over the weekend, let alone everything else involved makes me shudder. Given that challenge, the three Rotary organisations involved (Kew, Brighton North and Central Melbourne Sunrise) did extremely well this year. As mentioned on the website, the primary aim was to raise funds for charity, and they achieved that, raising over $8,000 from the 93 bus tour attendants alone, let alone the $100,000 from the entire event. 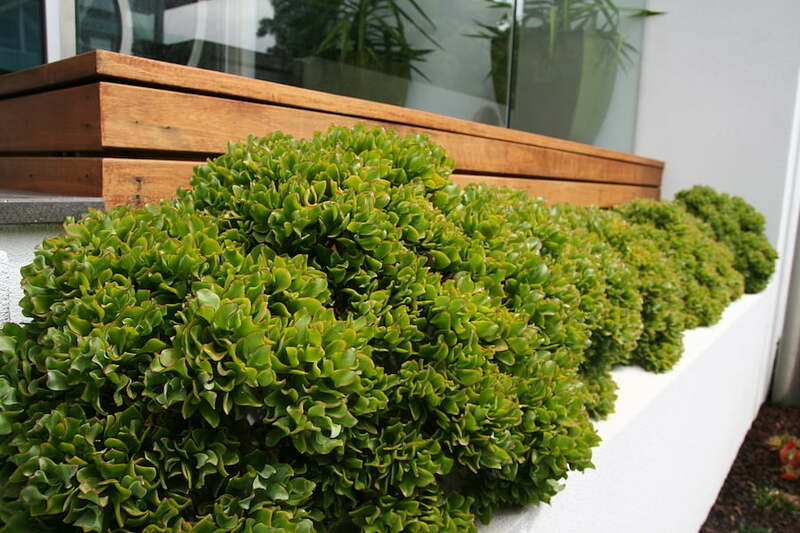 The secondary stated aim was to ‘encourage creative, bold, innovative, versatile, practical and responsible gardening in our Australian gardens’. I would suggest that if these two aims are priorities, then keeping the professional design community on board is significant because it’s one of the elements that gives this event its special energy and spark. 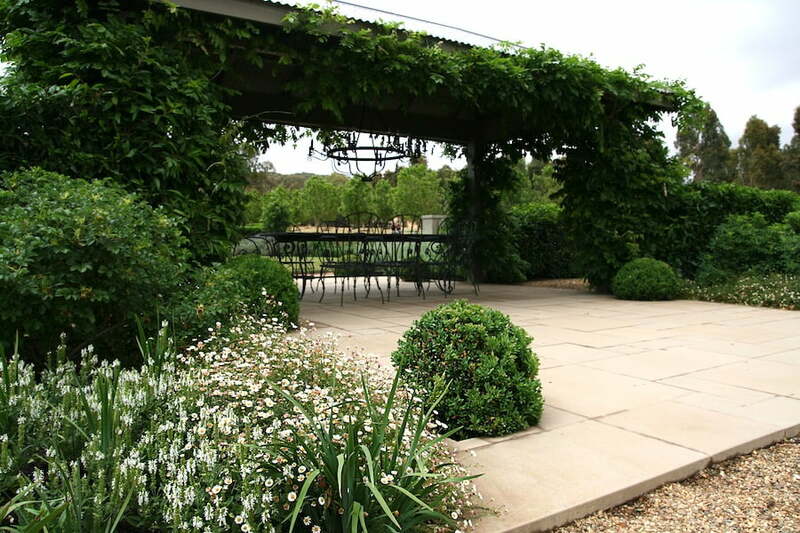 Particularly in the wake of the collapse of Open Gardens Australia, events like Garden DesignFest are so important to promoting a dynamic and rigorous garden culture with continuously elevating standards in residential garden design in Australia. It is interesting to read your review, Chantelle, thank you. 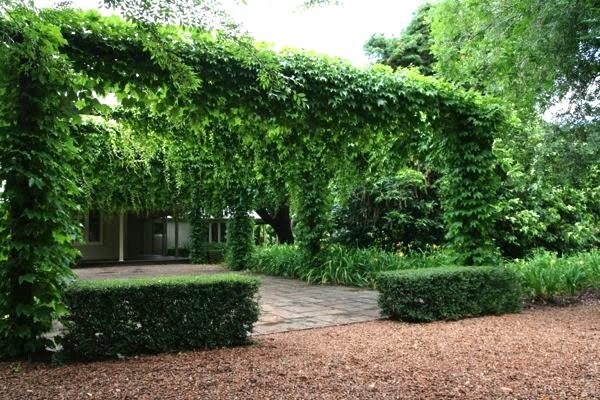 I am a garden designer from Sydney and I attended DesignFest independently this year. It thoroughly exceeded my expectations, although I was very selective in which gardens I attended. 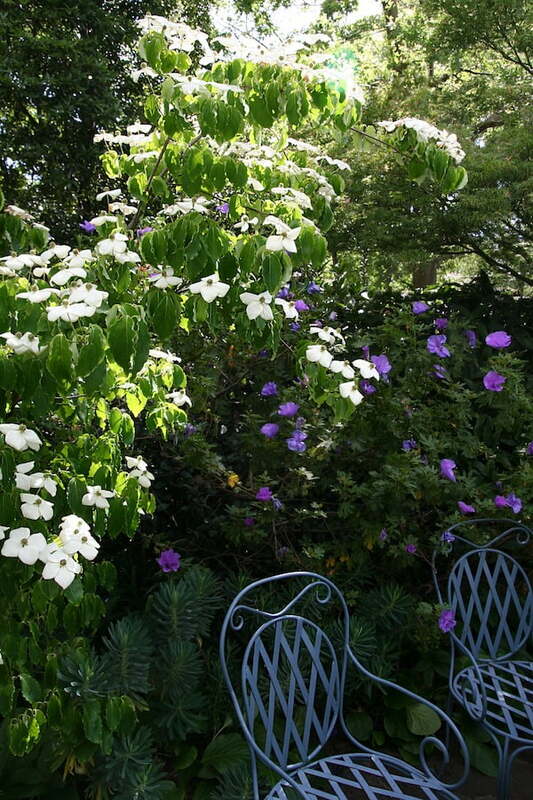 Cameron Paterson’s gardens were a real highlight for me, along with Sandra McMahon’s. Like you, I think hard about writing overly critical reviews on my blog, but I just wanted to rave about these ones! Hi Janna, thank you very much for your feedback and for joining the discussion about Garden DesignFest this year on Garden Drum. Great to hear that the event exceeded your expectations. Like you, I enjoyed visiting Cameron Paterson’s garden immensely, although I’m jealous that you were able to see Sandra McMahon’s Kilsyth garden as well! I found your thoughtful and insightful observations a pleasure to read, and very interesting. This is just the type of critique and commentary that GardenDrum excels at – the type of evaluation that isn’t available elsewhere and is far more valuable than any glossy, airbrushed piece. I appreciated your frank concerns about being perceived as negative but I think it is all about constructive criticism and more than balanced by the many positives. I really like your writing style and look forward to more. I’m pleased to hear that you found it to be a constructive critique and an enjoyable and interesting read Helen. Thank you so much for taking the time to give this wonderful feedback and encouragement, I value it a lot. Fascinating article Chantelle thanks. Very easy to read but with lots of useful information and well balanced too. As a non-gardener it has sparked my interest and I will be making the effort to attend when next the event comes around. Its great to read your opinions, as Helen said above, rather than just a cold review or an advert. Keep up the good work. Thanks very much Merk, and fantastic to hear that the article has made you interested in attending Garden DesignFest in 2016! Very interesting read. I look forward to visiting these gardens based on this! Cheers Nicola, lovely that it’s perhaps inspired you to visit the gardens that will be shown at DesignFest in 2016. I’m looking forward to it too! Great article, Chantelle, Informative and interesting. A pleasure to read. Cheers! Great to hear you found the review informative and interesting, thanks Dave! A great critique. I travelled from WA and had a group of 21 people with me from across the country especially to do the Design Fest which we then value added by 5 days in the stunning Mornington Peninsular. Rotary organised a route for us for the 2 days and I chose not to go to Euroa, which I know I would have loved but instead to focus on suburbia. We loved the opportunity to meet the designers and found them generous with their time and information. Did we have favourites, of course we did but delighted to have the variety to enable comparison. With any luck I will be back in two years for another dose and in the meantime the Landscape Conference. Melbourne knows how to entice gardeners. What a thoughtful, constructive and critical account! I am terrified of what you might say about our September Landscape Conference! Great to hear your thoughts – thank you. The speakers you have lined up for this 2015 Landscape Conference look very interesting and I can’t wait for the pre-conference tours too – they were simply brilliant at the last two events!